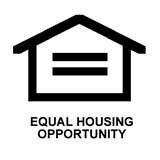 Building: Provides simple, decent, energy-efficient and affordable housing solutions for military service members, veterans and their families. Employment: Capitalizes on skill sets gained from military service with recruitment targeting veterans as Habitat for Humanity International and local affiliate employees, board members and extended volunteers, national service members, interns and fellows. Volunteer engagement: Provides volunteer experiences that bring together veterans, military families and their neighbors. These experiences help bridge the gap and ease the transition to civilian life with fulfilling community engagement. Education: Provides access to financial literacy and financial education programs to support successful homeownership among veteran and military homeowners. Trains Habitat employees and community volunteers to understand the military culture in order to interact effectively with military service members and veterans. Honor: Hosts special events that raise awareness of veteran housing needs and honor their service. Target dates include Veterans Day, Martin Luther King Jr. Day and the September 11 National Day of Service & Remembrance. Our female veteran population is in need as well. According to a report by the National Housing Conference, nearly half of our veterans who are single mothers spend more than 30 percent of their income on housing. Our female veterans face significant economic and housing challenges and are particularly vulnerable to housing cost burdens compared with our overall veteran population. Likewise, our most recent veterans who served following 9/11 have returned to a slow-growing economy and rising housing costs. These economic factors have made the transition from military service to civilian life difficult for many of our veterans. In addition, nearly 4 million of our veterans pay at least 30 percent of their income toward rent or mortgage, while more than 1.5 million pay at least 50 percent.